Can Retired Federal Employees Deduct Health Insurance Premiums? 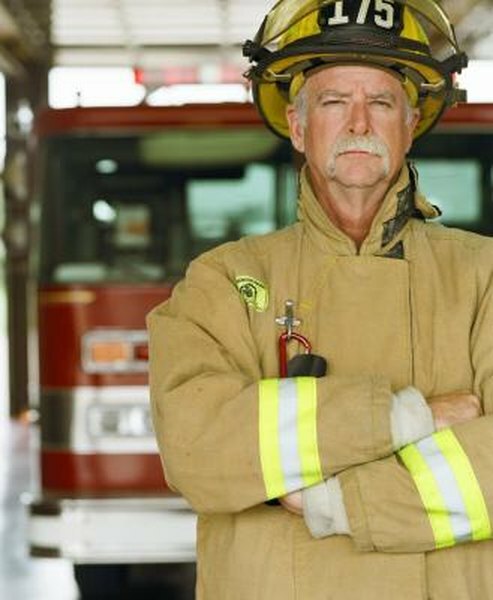 Public safety officers such as firefighters do not pay federal taxes on health insurance premiums. 3. Can I Write Off Health Insurance I Paid for My Daughter? There are two types of health-premium deductions affecting federal retirees and their health insurance. One is the itemized deduction that all taxpayers can claim for health insurance premiums on annual tax forms. The other is the deduction made from retired public safety officers' pensions to pay health insurance premiums directly. Like most of America's taxpayers, federal employees who are not public safety officers may include health insurance premiums as an itemized deduction on their federal tax forms. A deduction reduces the taxpayer's total taxable income and thus reduces the amount of tax owed to the government. Health insurance premiums are included with the rest of medical expenses. For retirees, the deduction kicks in after a taxpayer has spent 7.5 percent of his adjusted gross income on medical expenses. After fiscal 2016, the figure will rise to 10 percent. The second deduction affects public safety officers, whether they were federal employees or not. The tax benefit to these workers was included in the Pension Protection Act of 2006. Under the PPA, these retirees may choose to have up to $3,000 per year deducted from their annuities to be paid directly to health insurers or long-term care insurers as premiums. Although the PSO retirees must report the benefit on their tax forms, the effect of the law is to exclude the entire $3,000 from their taxable incomes, but still enable them to deduct other medical expenses under the same rules as other taxpayers. Public safety officers include police, firefighters, ambulance crews, probation officers, forestry workers, lifeguards and others, including nonfederal employees. In effect, they receive the same benefit as active federal employees -- both can pay health insurance premiums with pre-tax dollars. But the pre-tax health premium benefit ends when a federal employee retires, and it begins when PSOs retire. Thus, federal retirees may well be confused about who is entitled to what. It's easy to forget the context in which the benefit was granted. Passed five years after the 9/11 World Trade Center and Pentagon bombings, the PPA provision was a nod to the nation's public safety officers. At the time, the New York state and New York City governments, which were responsible for safety officers' medical bills, maintained that the continuing health problems of 9/11's first responders were unrelated to their work at the bombing site. While the PPA did not lift New York's financial burden or those of first responders who were uninsured at the time of the disaster, it eased the concerns of the nation's public safety officers over the treatment of their brothers and sisters in public service. When Is a State Tax Refund Considered Taxable Income?